October 1, Denver, CO: In my first ever appearance at a cabaret venue (! ), I’ll be onstage with Charlie Papazian, Green Flash’s Chuck Silva, our host Marty Jones, plus several bands and burlesque dancers at Marty Jones Brew Night Show. Frankly, I’m not entirely sure what will be happening, but I’ve known Marty for a number of years so I’m sure it’s going to be fun, and there will be great beer, too. 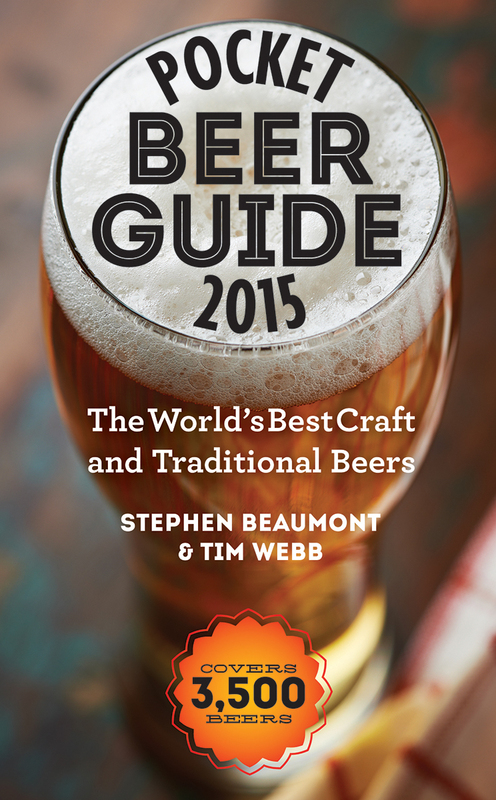 October 2 – 4, Denver, CO: I’ll be signing copies of the new book plus a few older ones in the Bookstore at the Great American Beer Festival. Check here for times. October 5, Nashville, TN: I’ll be hosting a very special, 5-course beer dinner at the Nashville location of the Flying Saucer. At a mere $45, and with the beers and food we’ve got planned, it’s a bargain and a half! October 6, Austin, TX: Another Flying Saucer appearance sees me in charge of what they’re calling a “Brewer’s Summit,” featuring Real Ale, Jester King, Austin Beerworks, Thirsty Planet and Karbauch. Taste beer, eat food, listen to me talk about the beers the brewers bring, and hear them tell me why I’m wrong. What’s not to like? October 7, Garland, TX: The Flying Saucer again, and another “Brewer’s Summit,” this time with Rahr & Sons, Real Ale, Sierra Nevada and Founders Brewing. Worth it just for the opportunity to sample great beers in an idyllic setting on Lake Ray Hubbard. October 8, Addison, TX: I admit to being a little nervous about hosting a beer dinner in what the Addison Flying Saucer people call the “Pub of Love,” but the menu and beers look great and I’m assured that the setting will be cozy and, dare I say it?, intimate. October 9, Fort Worth, TX: This is going to be a fun one! Taking a break from the tour’s all-beer theme, I’ll be hosting a beer, wine and spirits dinner in the Bird Café, located where the original Fort Worth Saucer used to be, collaborating once again with ex-Meddlesome Moth chef David McMillan. The menu looks spectacular! October 10, Fort Worth, TX: Another Flying Saucer and another “Brewer’s Summit,” this time with Rahr & Sons, Community Brewing, Lakewood Brewing, Revolver Brewing and Martin House Brewing. Keith Schlabs, the head beer wrangler for the Flying Saucer group, assures me that all the brewers have promised to bring their “crown jewels,” so this should be a tasting for the books! October 11, Fort Worth, TX: I’ll be taking things a bit easy on the last day of my tour, if you can call attending the Flying Saucer’s 9th Annual BeerFeast “taking it easy.” I’ll have books available for signing and look forward to some casual chatting about beer. Sometime in October: Once I’m back in Toronto and sufficiently recovered, I’ll be hosting a book launch event in the city’s downtown. Stay tuned for date and details. The following column was written in November of 2002 for the Celebrator, following a visit to the Brasserie d’Achouffe in the Ardennes region of Belgium. Since then, of course, many changes have occurred, including the brewery’s purchase by Duvel Moortgat and the rise of the hoppy Houblon Chouffe as a major brand. Despite or perhaps because of this, however, I enjoyed this trip down memory lane so much that I wanted to share it with you all. In 1987, I took a job at a now-defunct Toronto pub managed by a couple who had just arrived fresh from Belgium. Nobody in the city knew much about Belgian beers back then, and of all the experiences I had working at that pub, by far the most positive was my introduction to Belgian ales like Duvel, Chimay and Hoegaarden, the last hand-carried back for me from the brewery itself. Prior to this experience, my range of experience in beer had been pretty much confined to a few trips to the west coast of the U.S. and the limited offerings of the Ontario marketplace: early craft brews, a handful of German and British imports, and of course, the all-too-homogeneous offerings of what were then the Big Three breweries of Canada — Labatt, Molson and Carling O’Keefe. (Molson and Carling eventually merged to make the Big Three into the Big Two.) The exposure to the first trickles of Belgian beer arriving on these shores opened my eyes to the full flavour potential beer had to offer. About a year later, already entranced by these new tastes, I discovered another Belgian ale. This one came from a tiny, five-year-old brewery in the Ardennes, Belgium’s densely forested southeast, and sported an easily identifiable label featuring a curious gnome. It was called La Chouffe. Legend now has it that both the gnome on the bottle of La Chouffe and his ‘Scottish cousin’ who graces the brewery’s other primary brand, McChouffe, are ‘chouffes,’ a type of local forest elf. The truth, however, is that the chouffe idea sprang from the fertile imagination of Christian Bauweraerts, co-founder of the brewery and the affable face of the Brasserie d’Achouffe. Both the brewery and the beer are actually named after the town of Achouffe, a tiny village near the border of the Grand Duchy of Luxembourg. And, as I learned during a recent visit, the name truly means, well, nothing. Like several other Belgian breweries, including its Wallonian neighbour Fantôme and the well-known Flemish brewery De Dolle Brouwers, Achouffe got its start as a hobby of Chris and his brother-in-law, Pierre Gobron. The direction the owners took their hobby, however, was unique and remains today a model for other artisanal breweries in Belgium, especially those plagued by the difficulties of distribution in a market increasingly dominated by the big players. Rather than focus their marketing efforts on domestic sales, the partners elected to look instead internationally. By the time I made acquaintance with the brewery, they were selling between one-quarter and one-third of their entire production in my home province of Québec, where to this day they sell almost double the amount of beer than they do in all of the United States combined. Of course, those amounts — roughly 600 hectolitres in the U.S. and 1,000 in Quebec, plus another 1,000 brewed under licence in la belle province — are relatively small compared to the large volumes that Achouffe sells to the Netherlands, where it is far easier to find a draught La Chouffe than it is anywhere else in the world, including Belgium. In fact, Chris told me that those Dutch sales are largely responsible for the brewery selling just over one half of its production in draught form. In all, Achouffe expects to sell about 18,500 hectolitres of ale this year, roughly three-quarters of which will be the blonde, 8% alcohol, coriander-spiced and curiously refreshing La Chouffe. The stronger (8.5%), darker — made so through the addition of dark sugars rather than dark malts — and rounder McChouffe will make up most of the remainder, with the brewery’s sole seasonal, the concentrated, 10% alcohol and thinnish but intense N’ice Chouffe, accounting for only about 2.5%. For a regional brewery still unrecognized in many parts of Belgium, and one located in a town so small as to hardly rate a mention on the map, Achouffe’s brewery is large and modern, the result of careful years of controlled expansion. Bottling, kegging and the warm-conditioning vital to bottle-fermented ales are done off-site about six kilometres away, while the pair of on-site brewery buildings are divided into brewing and fermenting facilities. For the visitor, however, the real draw of the brewing side of the operation is the small café built into the back. While not actually operated by the brewery — they lease the space out to independent operators — the café is without doubt an integral part of the Achouffe experience. To begin with, it may be the only place in Belgium where you can find both La Chouffe and McChouffe on tap. Then there is the beer cuisine offered on the menu, such as the tender though meaty brook trout poached in La Chouffe — only in Belgium would such a dish be offered as an appetizer rather than a main course! — and the wonderfully rich sauce maison which topped my entrecôte de boeuf, made from cream, La Chouffe and a local blue cheese. And finally, it is a place where an air of community dominates, where children run and play and the occasional argument between pet dogs scarcely raises an eyebrow. After spending but a single evening at the brewery tap, eating my fill and discovering how surprisingly easy to drink an 8% alcohol draught can be, I was left wondering how the inhabitants of a country as impassioned about beer as is Belgium could possibly ignore such a delight within its borders. It must be that they simply don’t know what they’re missing. Craft beer in North America was born in the west, that much is pretty well documented – Anchor and New Albion in California, Horseshoe Bay and Granville in British Columbia, Yakima Brewing in Washington, etc. It thrived there, too, in the early days as well as still today, but thanks largely to Jim Koch, what we then called microbrews came to national prominence via not the west, but the northeast. I refer, of course, to the Boston Beer Company, based in and typically associated with its namesake New England city, even if its beers were then, as they still are now, largely brewed outside of Massachusetts. The somber face of Boston Beer’s “Brewer Patriot” Samuel Adams was what introduced most Americans to craft beer, and the expansion of the Boston Lager to state after state after state played a huge role in opening up the national beer market to small, independent beer brands.